Let’s say you buy insurance leads from a lead generation company and you like how they work. You like the higher rate of conversions and the fact the leads are pre-qualified. It’s a nice way to do business – but – you feel like you are missing out on the person one-on-one leads you source yourself. You want to get out and meet people face-to- face. That’s easy enough with a bit of creative thinking. For instance, new homeowners are always in the market for insurance and often other insurance products relating to their new purchase, such as life insurance. New homeowners can always be found online by using Google for your area and searching for new homeowners in your area. Or you can specify this is the traffic you want when you buy leads from a lead generation company. Revisit your company books and check and recheck all your existing customers, as they tend to be a good source of repeat business in addition to bringing in new customers. For instance check the files for milestone events such as the birth of a child or grandchild, milestone birthdays (like turning 65), new vehicles added to the family, the anniversary of a policy or even a change of employment. All that information is at your fingertips in your filing cabinet. Just mine it with diligence and see what good results you get. If you love your leads from your lead generation company, but want to try other methods of finding leads on your own, why not consider mail back newspaper inserts? They are not that expensive and when combined with purchased leads, may save you marketing dollars. Mail back cards are small, postage paid postcards that people can simply fill out and drop in the mail. Some people prefer making contact with an insurance agent that way rather than receiving a phone call. It also gives them the control to contact you instead of having you contact them when they may not be ready to buy insurance – yet. One other source of leads that you may be able to take advantage of is engagement/marriage notices published in your local newspaper. Many newly weds need home insurance, life insurance, car insurance and other types of policies, including health insurance for the new family. 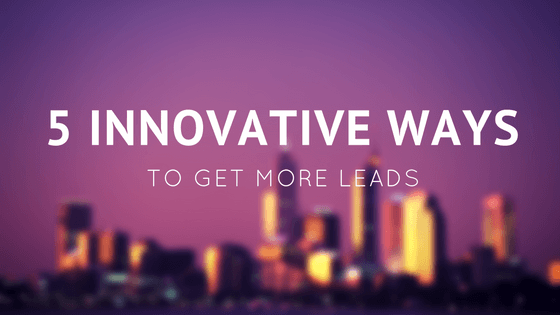 Simply being innovative in finding new leads and combining them with purchased leads is bound to give you a solid customer base to grow your agency and help people find the right insurance for their needs. While you’re on a roll with your creative lead sourcing efforts, why not consider getting old leads from another insurance agency that may be going out of business? Find out if they have old leads you could buy. It would be worth the investment of your marketing dollars because those leads may not have been worked, may have been abandoned just before they made a decision to buy or are fairly recent and have not been worked at all. Even old leads may pay off because even though they might have been contacted once or twice before a few months or more ago, they may still be interested in buying insurance. A new agent contacting them and spending chat time with them may well result in a conversion. Never turn your back on a creative lead source if you enjoy working all the angles to get your agency rolling and a force to be reckoned with in the long haul. Let’s face it. Getting walk-in traffic to an insurance agency is a difficult task, but it’s even harder to get people to make an appointment to come and see you if your website is as old as the dinosaurs or messy and confusing. You want a potential customer to walk in the door and be impressed with your online presence, your social media skills, your sharp and precise explanations about insurance terms on your agency website and your professional approach to doing business. If you don’t ensure your website is up-to-date, has fresh information, a compelling presence, and looks sharp and ready to do business in a highly professional manner, people are not going to even consider asking you for a quote, never mind call to ask questions. We can’t say this often enough, your website is not just a placeholder on the Internet. It is who “you” are, how you do business, a reflection of you and how you run your agency. Your website is not just about your business, it is also about you. It is you, the personal you, that is selling insurance. If people don’t like what they see on the website and don’t get a good feeling about the business or you as an agent, they are not going to buy. It’s just that simple. Tend to business in all the ways that it counts and that includes a striking online presence that says you mean business. And if your website needs resuscitation, get a new one and do it up right. 5. Partial to cold calling or meeting people and talking shop? Some insurance agents like cold calling and meeting others to talk about insurance. Selling is a social endeavor in many ways and whatever seems to work the best for you when sourcing leads, go with it. There is no absolutely right way or wrong way to work leads, just so long as they are worked sincerely, with enthusiasm, and with the goal of finding the best insurance policy for a client. What’s your best idea to meet others and talk about insurance? Be creative and try setting up a quote table at a large company – in their breakroom or cafeteria. You’d need permission to do so, but nothing ventured, nothing gained. Ask to set up a quote table and make it crystal clear you are not pushing anything, but simply offering to provide an insurance quote to anyone who may be interested. Have a sign on your table that says something like having a good insurance policy can save you money, or free quotes to anyone interested in checking out how to protect their family in case something happens. Table traffic based on curiosity provides you with many opportunities to engage a potential customer. It’s worth a try and you lose nothing by being there.